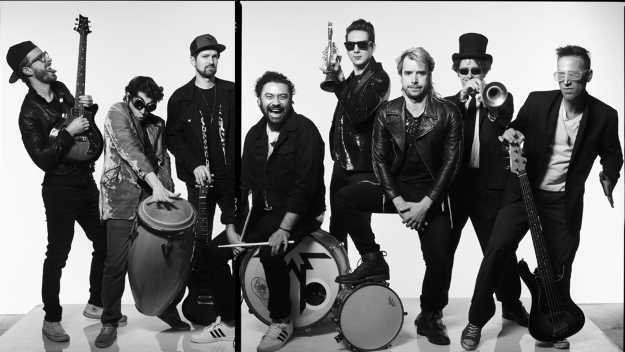 The aptly named explosive Canadian 8-piece collective Five Alarm Funk has been nominated for a 2018 Juno Award by the Canadian Academy of Recording Arts and Sciences. The group’s 2017 record Sweat is up for Instrumental Album of the Year, with the results to be announced late next month. In the interim, the group has completed a new EP, Boots & Wheels set for release on March 9. Joining the bank on the recording is legendary bass player Bootsy Collins. Today we premiere their collaboration on “We Play The Funk,” which will appear on the forthcoming record. Five Alarm Funk’s current tour dates appear below.